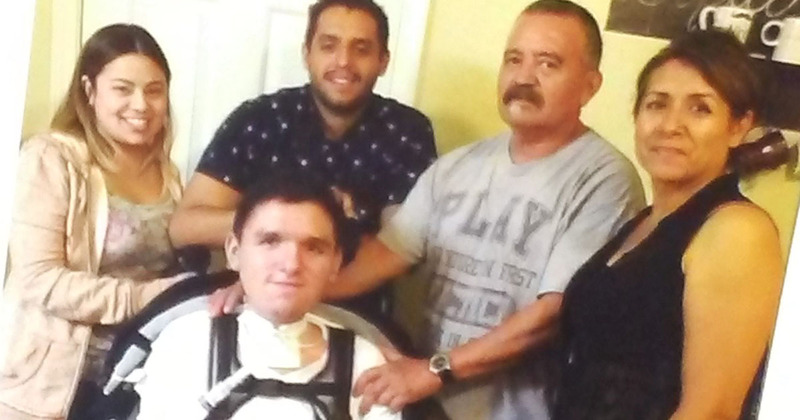 Southern California natives Hilario and Patricia Moctezuma have become experts at caring for their 25-year old son, Michael, who lives with Duchenne muscular dystrophy. After dealing with the initial devastation of their son’s diagnosis, they resolved to learn everything possible about caring for Michael as his condition progressed — short of becoming doctors themselves. 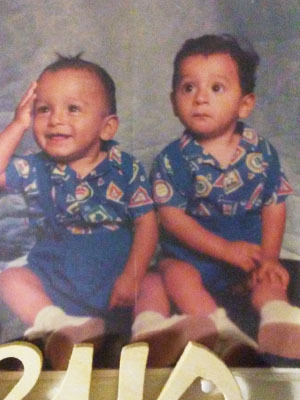 Michael, who has a fraternal twin brother, Steven, along with three older siblings, benefits from having a loving and supportive family around him. “He is loved and cared for with extreme passion,” says Patricia. For the first six years of his life, Michael did not exhibit any outward symptoms of Duchenne. His diagnostic journey began when he was seven years old and a teacher noticed he was struggling in school. As Patricia recalls, “We were told by Michael’s first grade teacher he was having difficulty keeping up with other students in class work and outdoor activities.” Based on this observation, the Moctezumas scheduled an appointment with Michael’s primary care doctor, where it became readily apparent that Michael’s development, compared to Steven’s, was not up to the same level. His primary care doctor suspected Duchenne from the outset. “The characteristics observed by the doctor when Michael stood up from the ground and ran a short distance weren’t that of your normal walk or run,” says Patricia. The shock would eventually wear off. The Moctezumas lovingly cared for Michael as he grew into a teenager and transitioned into a wheelchair. Eventually, Michael was discharged from the hospital. The experience left the Moctezuma family with additional caregiving responsibilities, but it was a challenge they were ready to assume. 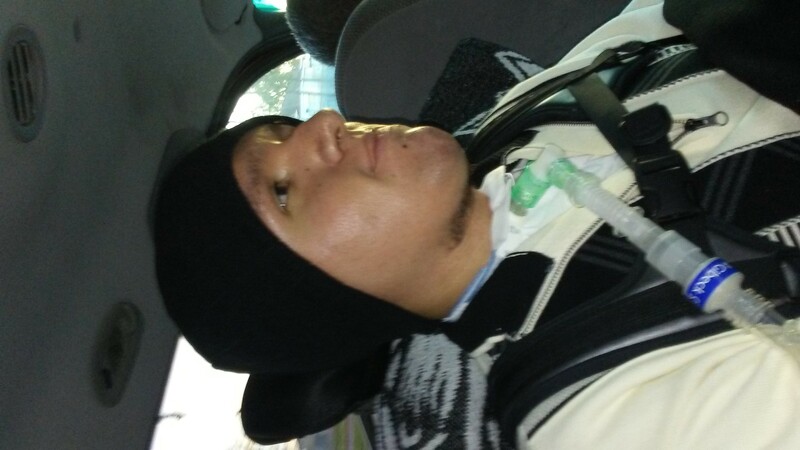 Given the complexity of Michael’s medical needs after his time in the ICU, the Moctezumas sprung into action. 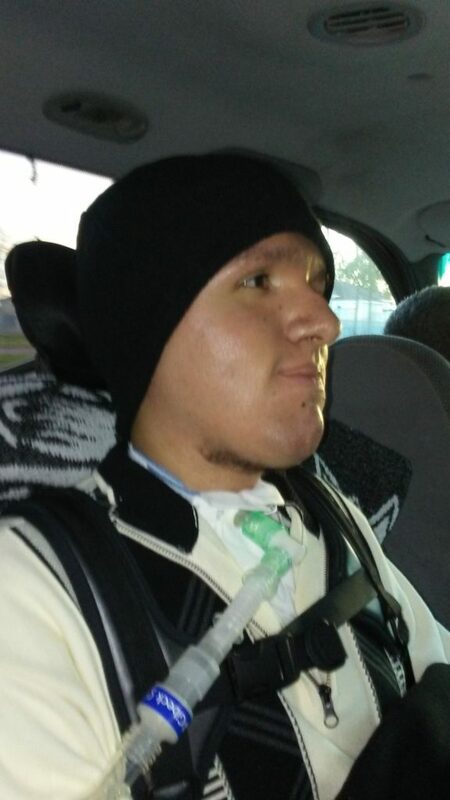 Determined to provide Michael with the best home care possible, Patricia and Hilario quickly became experts, asking questions and learning how to adjust to a daily routine involving new breathing and feeding devices. Outside of home, the Moctezuma family has been active with the MDA, attending telethons, participating in MDA Muscle Walks and supporting MDA Shamrocks in their local community. Through interacting with other MDA families, Patricia and Hilario have seen that there are many parents just like them, learning on the fly how to become experts in their child’s care. “Your child needs to be reassured they are accepted and loved without condition. Have a good communication line with doctors and nurses, ask questions, educate yourself about what is going on. Parents, bond and work together to help your child to the fullest. You will learn to understand their needs better than professionals. Help kids and adults like Michael live longer and grow stronger!